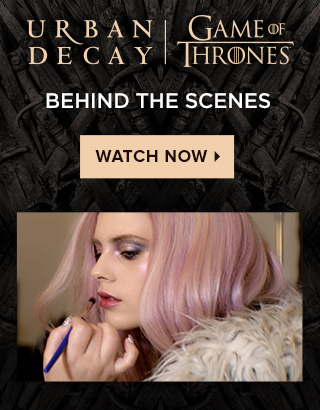 This collection includes a UD | Game of Thrones pop-up Eyeshadow Palette. 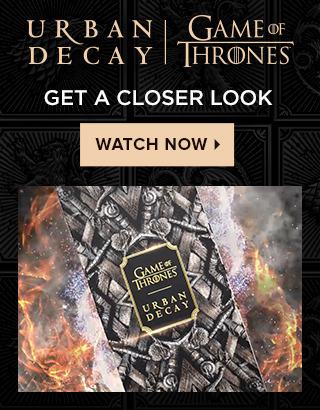 You’ll be armed with Jon Snow’s Longclaw and Arya Stark’s Needle eyeshadow brushes and get a glow with the Mother of Dragons Highlight Palette. Command dragonfire with the Dracarys Lip & Cheek Stain and prepare for battle with four new shades of waterproof 24/7 Glide-On Eye Pencil as well as our unstoppable Vice Lipstick. Game of Thrones TM & © 2019 Home Box Office, Inc. All Rights Reserved. Under license to Urban Decay.